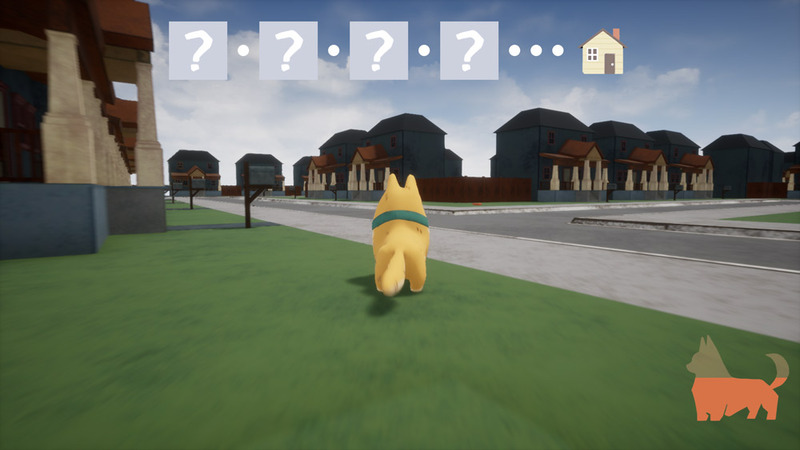 A Woof Way Home is a fun and tranquil game where you play as a dog that has lost its way home, you must make your way through the streets trying to find clues as to which house is yours and using objects such as boxes to climb over fences and find your way through people's backyards. 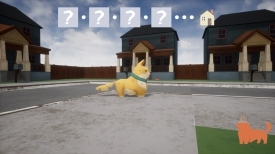 The mechanic of the dog moving when it is in motion looks great and the accompanying music is very soothing so even as you face the daunting task of finding your way home you can relax and enjoy and take in the scenery as you do it. 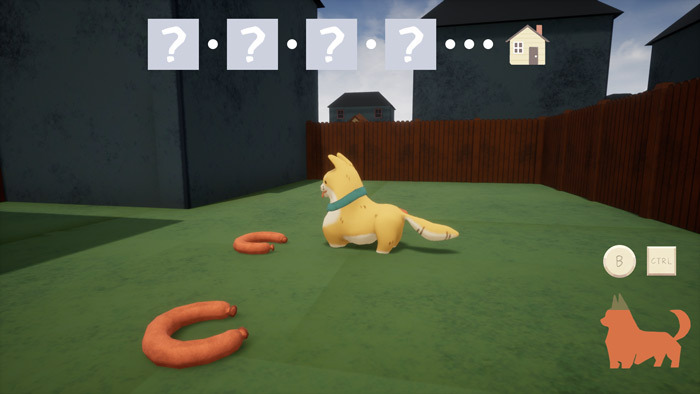 You will need to eat sausages that are scattered throughout the streets and yards, if you run and forget to eat to top up your health your dog will run out of energy and it will be game over. A Woof Way Home is a game that can be played by all ages and abilities and is very enjoyable if you just want to lose yourself in the quiet world of suburbia and take a really fun dog for a walk! You will also need to use your nose to sniff around for clues and memories that will help you finally find your way home. You can download A Woof Way Home here for free.